What a great buy on this 3BR/2BA gem in a quiet neighborhood. This home features a covered front porch large enough to sit rocking chairs and enjoy a fresh cup of morning coffee. Inside features new paint throughout, a living room with cathedral ceilings, split floor plan, two full baths, a large spacious kitchen, a patio and a nice private wooded backyard with a small outbuiding. The bedrooms are normal size with the master bedroom featuring a ceiling fan and walk-in closet. Located in a USDA rural area. 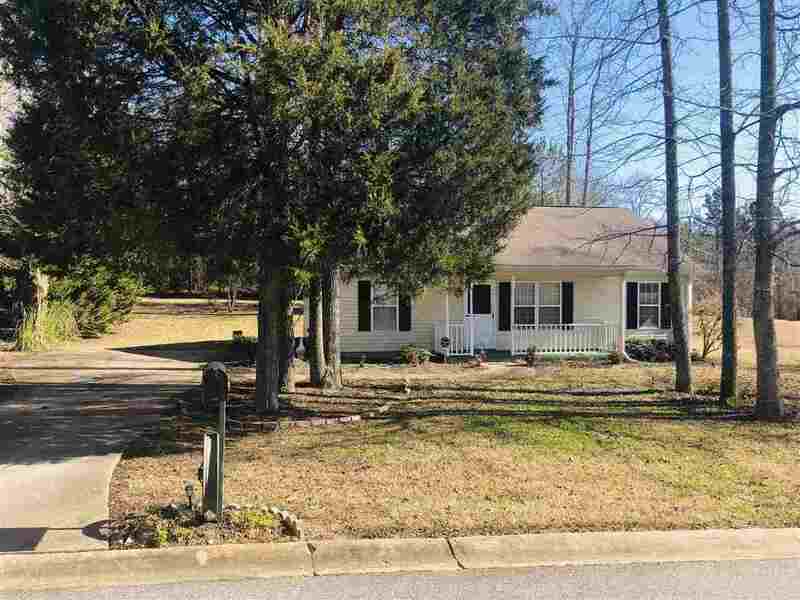 Call 864-216-3208 for a private showing. © 2019 Multiple Listing Service of Spartanburg, Inc. All rights reserved. Information deemed to be reliable but not guaranteed. The data relating to real estate for sale on this website comes in part from the Broker Reciprocity Program. Real estate listings held by brokerage firms other than House Express Real Estate are marked with the BR logo and detailed information about them includes the name of the listing brokers. Listing broker has attempted to offer accurate data, but buyers are advised to confirm all items. Information last updated on 2019-04-24.